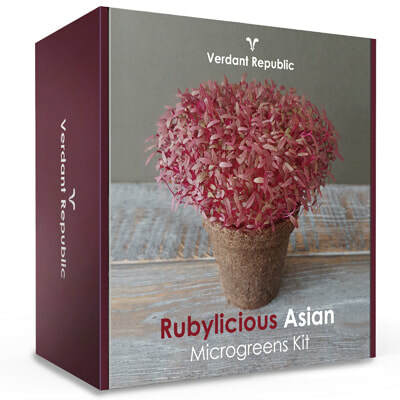 Verdant Republic's seed kit is easy to grow and contains everything you need to successfully grow your own super nutritious and flavourful microgreens within 9 days! 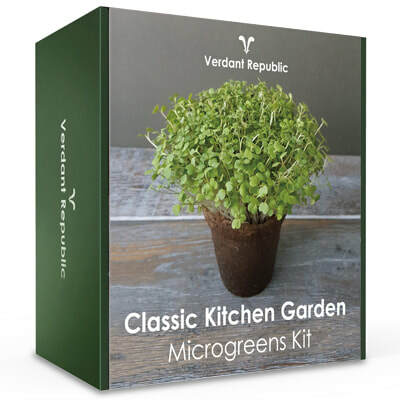 It fosters sustainable-microgreens-cultivation within the comfort of you own home. Our seeds starter kit comes with a comprehensive step-by-step guide to make sure you achieve fast and successful germination every time! Easy to follow step-by-step guide to ensure a successful harvest every time. Ideal for beginners and experienced gardeners. Easy for kids too. Delicious microgreens in less than 2 weeks! Our kit takes less than 15 minutes per pot from seed-to-feed. There are no plastics in our kit. We are 100% Eco-Friendly! Everything you get is recyclable and biodegradable. Perfect for indoor and outdoor spaces. No need for building a separate garden from scratch! Fabulous product and beautifully packaging. This is nice and so-very easy to prepare, tastes and looks fantastic. Would definitely buy again for me and as gift for my mom. 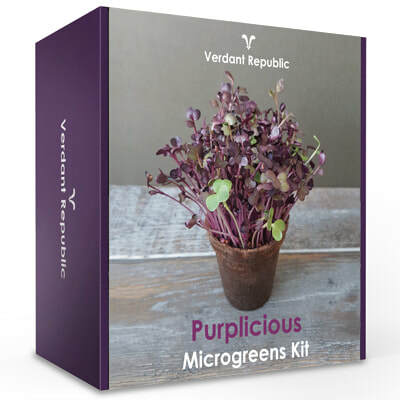 WHAT ARE MICROGREENS AND WHY YOU SHOULD EAT THEM?